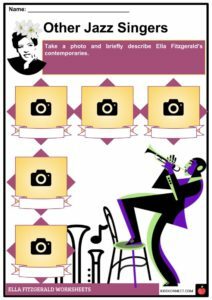 Ella Fitzgerald was an American jazz vocalist with a vocal range spanning three octaves. She was often referred to as the "First Lady of Song," the "Queen of Jazz," and "Lady Ella". 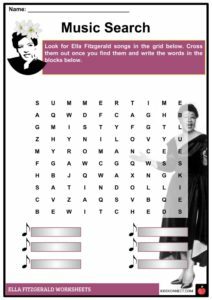 Ella Fitzgerald was an American jazz vocalist with a vocal range spanning three octaves. She was often referred to as the “First Lady of Song,” the “Queen of Jazz,” and “Lady Ella”. 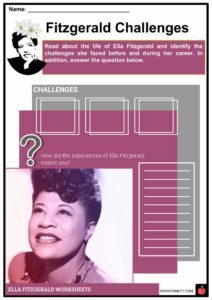 See the fact file below for more information on the Ella Fitzgerald or alternatively, you can download our 22-page Ella Fitzgerald worksheet pack to utilise within the classroom or home environment. 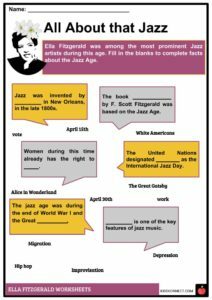 Born on April 25, 1917 in Newport News, Virginia, Ella Jane Fitzgerald was the child of a common-law marriage between William and Temperance Fitzgerald. Her parents separated soon after her birth. 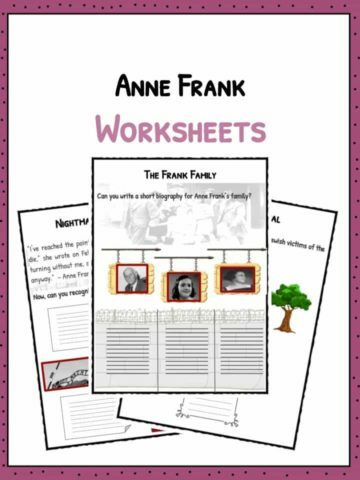 In 1934, the death of her mother made her struggle at a very young age. Young Ella was a self-professed tomboy working on odd jobs to make a living. She was active in sports and showed an early interest in singing and dancing. 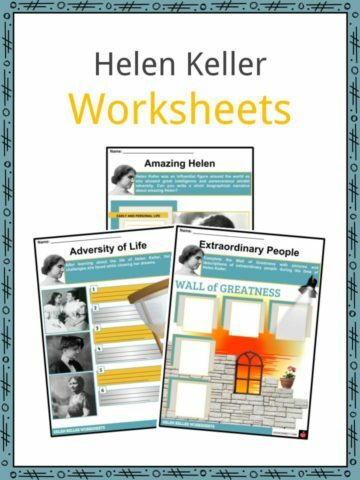 As a teenager without the guidance of her mother, Ella went through difficult times. She frequently had troubles with the police. At the height of the Great Depression, Fitzgerald pursued her passion for singing. In 1947, she married Ray Brown, a band bassist. 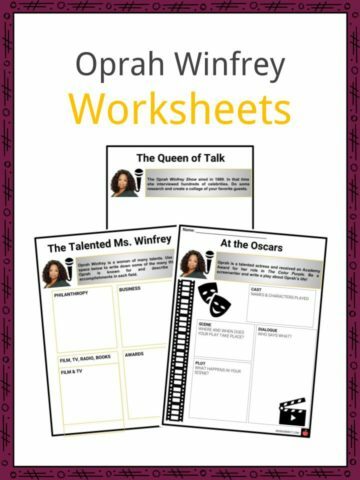 In 1934, she joined and won an amateur singing contest held at the Apollo theater. The next year, she performed with Tiny Bradshaw at the Harlem Opera House. 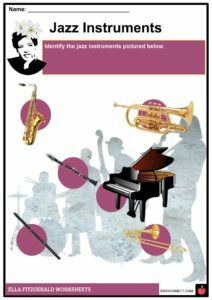 There, she encountered drummer Chick Webb, who recruited her for a one-nighter performance at Yale University. In 1938, Fitzgerald, along with the guardianship of Webb, made her first hit A Tisket-A-Tasket. It was followed by the B-side T’aint What You Do (It’s the Way That You Do It), as well as Liza, and Undecided, in 1938. Fitzgerald pursued her solo career years after the death of Webb. In 1946, she was managed by Norman Granz and toured with Dizzy Gillespie’s band. Her voice was recognized by jazz artists after the recording of Lady Be Good, How High the Moon, and Flying Home. In 1955, Fitzgerald appeared in the film Pete Kelly’s Blues. From then, she recorded a number of albums under Granz’s Verve label. She won her first four Grammy Awards in 1959, the same time she was recognized as one of the great singers of all time. In 1956, she was paired with another famous jazz musician, Louis Armstrong and recorded a number of songs including Like Someone in Love, and 1958’s Porgy and Bess. In the 1960s, she performed live concert albums including Ella in Berlin where she earned her Grammy Awards for Best Vocal Performance Single Record or Track, Female, and Best Vocal Performance Album, Female. In 1999, the album was later inducted into the Grammy Hall of Fame. After the Verve was sold to MGM in 1963, Fitzgerald recorded for labels including Capitol, Atlantic, and Reprise. At the 10th annual Grammy Awards in 1967, Ella was given the Bing Crosby Award later named the Grammy Lifetime Achievement Award. By the 1950s and 60s, her unique ability to mimic instrumental sounds helped popularize the vocal improvisation of scatting, which became her signature technique. Throughout the 1970s and 80s, she released more albums and paired with other artists, including Basie, Oscar Peterson, and Joe Pass. She was honored with a Kennedy Center for the Performing Arts Medal of Honor Award in 1979 followed by the National Medal of Arts given by President Ronald Reagan in 1987. More followed, including a Commander of Arts and Letters award from France, and honorary doctorates from Yale, Harvard, Dartmouth, and other institutions. She had heart surgery in 1986 and suffers from diabetes. This left her blind, and she had both legs amputated in 1994. Her last recording was done in 1989 and performance at the Carnegie Hall in 1991. Ella Fitzgerald died on June 15, 1996, at her home in Beverly Hills. She left a lifetime legacy in music, especially in jazz. 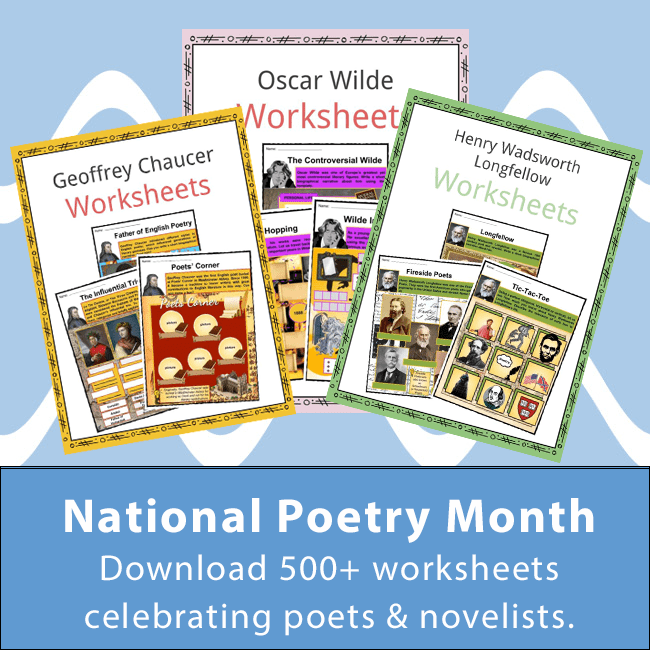 Fitzgerald remains an influential icon for music in general and African-American artists. 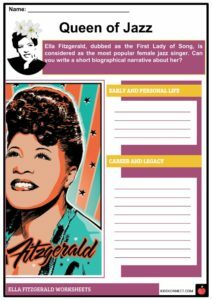 This is a fantastic bundle which includes everything you need to know about Ella Fitzgerald across 22 in-depth pages. 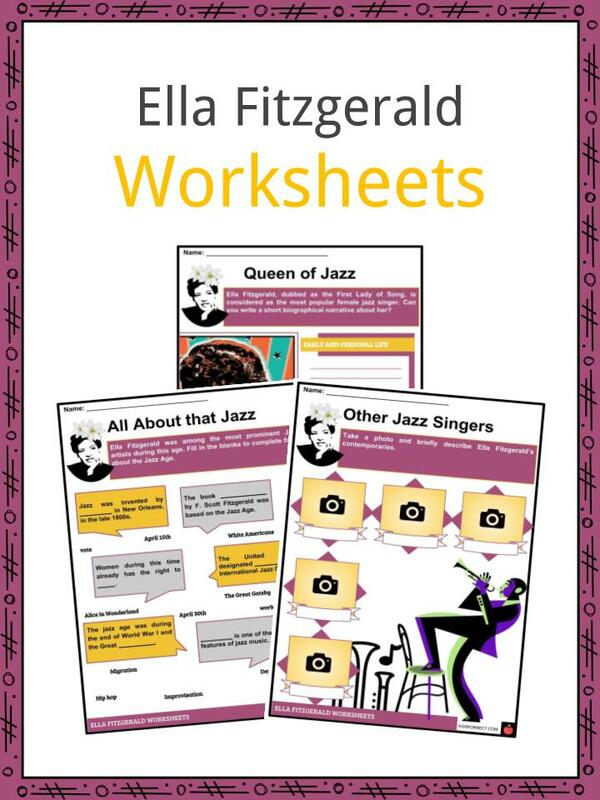 These are ready-to-use Ella Fitzgerald worksheets that are perfect for teaching students about Ella Fitzgerald who was an American jazz vocalist with a vocal range spanning three octaves. 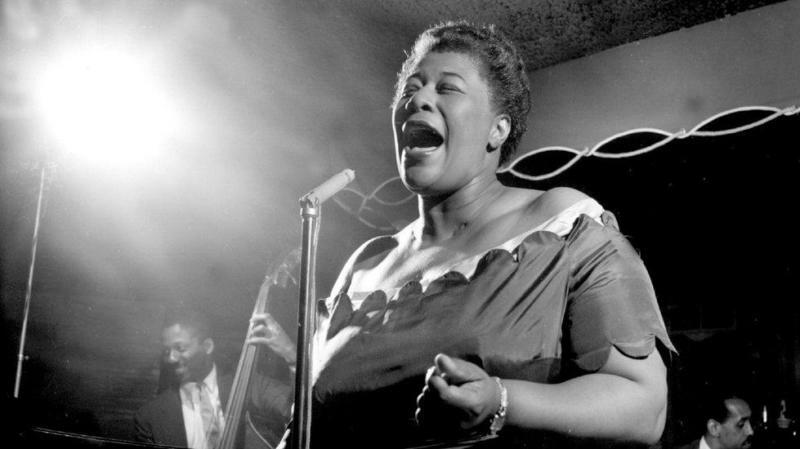 She was often referred to as the “First Lady of Song,” the “Queen of Jazz,” and “Lady Ella”.